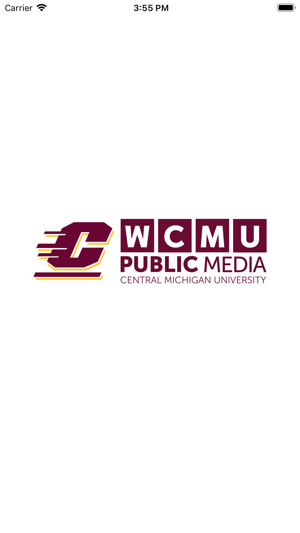 The CMU Public Broadcasting App allows you to listen to WCMU, pause and rewind the live audio, and view the program schedule for all the WCMU streams at once! You can explore On Demand content, search for programs, bookmark a program for later, and wake up to WCMU with the alarm clock! • Listen to live streams from WCMU even while traveling! Start the app and your favorite station starts playing – no clicks to start listening. • Integrated program schedules for the WCMU stream! • Listen to WCMU in the background while browsing the web or catching up on your emails! • Access WCMU’s programs easily and quickly. 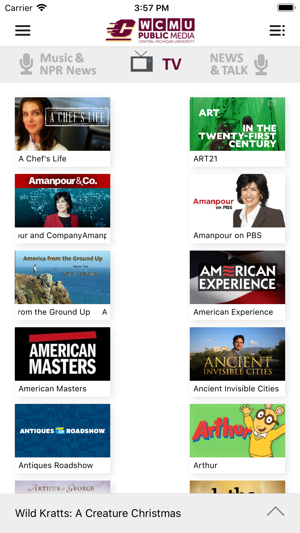 • The CMU Public Broadcasting App displays the web page associated with the program or program segment you are listening to On Demand so you can explore for more information. 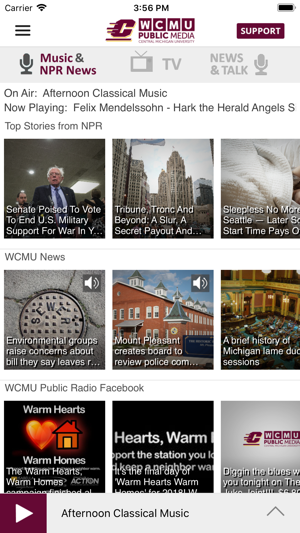 The CMU Public Broadcasting App is brought to you by the people at WCMU and Public Media Apps. We work to provide our valued listeners with great solutions to find what you want, when you want it, and where you want it. Please support WCMU Public Broadcasting by becoming a member today! I love having my favorite programs available at my convenience. Wether it's re listening, listening/watching a program that doesn't fit my schedule or catching up Michigan news, it's my go to resource. 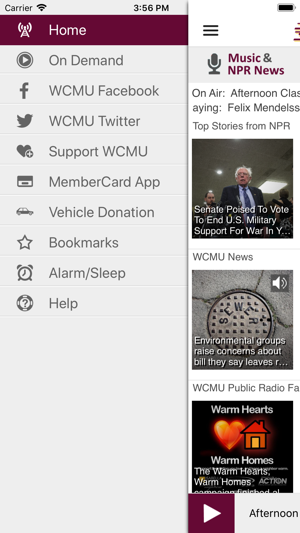 I love WCMU Public Media content, but have deleted the app. Constant crashing, and starting yesterday, a looping stream, make it impossible to use. This weekend has been particularly bad. I even tried reloading. Never had this issue before, so I have high hopes for a fix soon, or an update. 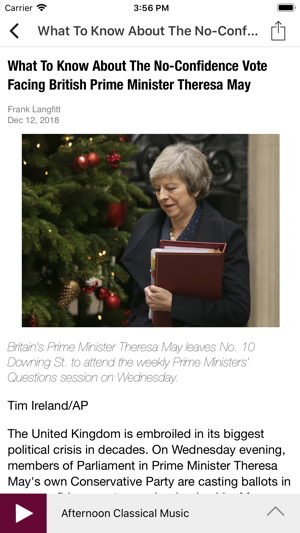 Like bar at bottom , that tells me what program is streaming live!